Quite possibly one of my favourite electro-pop albums from this period. The single 'Fade To Grey', which ushered in the New Romantic era, is performed 'live' in the episode, at the Blitz, by original front-man Steve Strange. 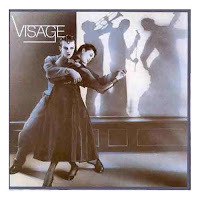 It sums up many of the obsessions of the early New Romantic sound; European backdrop (here we have lyrics in French, and also Ultravox called their album 'Vienna' and shot their video there), themes of isolation and alienation, international travel, the Cold War. All this is carried by energetic, inventive and most importantly, dance orientated, synth-pop. The band comprised members of Ultravox (Ure and Currie), ex-members of Magazine (Formula and Adamson), legendary Siouxsie guitarist John McGeogh and input from drummer Rusty Egan and Numan band members Chris Payne and Ced Sharpley. It's got a slightly erratic feel to it, a bit hand-made and rough around the edges that gives it a necessary edge, but it's full of smashing synthesiser swoops and screeches, powerful drum and bass lines (the drum crash sound from 'Fade To Grey' is nicked from Bowie's 'Low' album) and nifty guitar breaks. There are also a number of tracks that certainly could be described as proto-ambient too, particularly 'The Steps', and atmosphere is powerfully evoked on 'Mind Of A Toy' and 'Malpasso Man' (an electro homage to Morricone). What you get is a 'manifesto' for future pop on one album (much like The Human League's 'Dare' album) and tracks such as 'Visa-Age' have influenced recent bands such as Ladytron. Tragic Bowie casualties they may be but this is a wonderful slice of pure electronic dance-pop that has rarely been equaled. Essential. 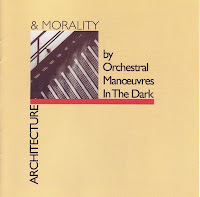 Their master-work is the last output from the classic OMD line-up. An amazing album, again tapping into the 'Eurocentrism' of music in the early 1980s but also continuing with some of their own obsessions; the industrial landscape and the legacies of the atomic age. Full of very memorable songs with hooky melodies and grandstanding choruses, it's a mix of highly experimental, almost psychedelic sounds, atmospheric synthetics and bold production. 'New Stone Age',which opens the album, is sonically challenging and pretty atypical but does hint at the frankly very strange noises of the follow up to this, 'Dazzle Ships' and is discordant, exciting and surprising. Much of the album is then dreamy synth-pop, typically 'Souvenir' which plays as Alex and Daniel share a dance at Blitz, or gorgeously atmospheric stuff like 'Sealand' or 'Georgia', with its squalling radio samples and majestic melodies. It's a tad sentimental and often sounds more prog-rock than synth-pop but it's coherent, superbly produced, full of ideas of what pop could do at the time. Essential. A sign of many things to come in pop music in the 1980s. Rather than go for the often detached and cold 'European' feel of other bands, former Human League-ers Ian Craig Marsh and Martyn Ware set out an alternative manifesto that involves singer Glen Gregory and the huge influence of R&B and funk. Hence, you get many songs pointing the finger at Thatcherite politics, the Cold War, extremism and US foreign policy whilst also enticing you to shake your booty. This political funk is probably best encapsulated by the quite superb and very left-wing '(We Don't Need This) Fascist Groove Thang' which should have been a monster hit but was scuppered by a BBC ban, I believe. 'Groove Thang' plays over the hilarious lift sequence where Alex catches Daniel bonking a woman, who I assume, is his secretary. The album is full of funky pop hooks and grooves, signaling the more soulful direction that many so-called New Romantic bands would go in, especially Spandau Ballet. 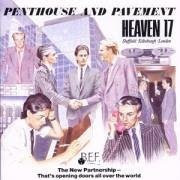 Whilst the music is pure dance-pop the lyrics and themes are still very political and the album can be best described as a pot shot at Thatcherite Yuppies and globalisation which is split over two distinct sides 'pavement' or 'penthouse'. The stand out tracks for me are 'Groove Thang', 'Let's All Make A Bomb' and 'The Height Of The Fighting'. Chas 'N' Dave - 'Gertcha': Used at the street party and gets away with it because we see Gene trying to cop a feel of the blonde during the conga.